“secondly, I am working with a pro here in France, who has also a high stock of spools (200+). And he needed a tool to manage his stock too. The RollingUp app is a 3D printer filament spool manager, which lets you easily add your spools to the app and input their usage. The app is only available on Google Play for now, though the iOS version is currently under development and should be available soon on the Apple Store. In terms of making money, Stephan told us that the app does contain small advertisement banners, though these only show up for those who use the free version to manage just two spools of filament. The $4.99 Premium plan, accessible from an in-app purchase, doesn’t include any ads and lets you add and manage as many spools as you want. Users can synchronize the app on multiple devices, as well as access its spools shop to get great deals on filament. “Very soon I will introduce new features, first in order to sensitise the users about eco-responsibility in the 3D printing world, and secondly to bind the app with the Filament.directory database (in order to create automatically spools in the app according existing spools on the market),” Stephan told us. The app also lets users sort their filament spools by weight, material, and manufacturer, and, if you have the Premium version, access a special NFC tag-writing feature. This feature allows you to write out your spools on NFC tags, then access their status by scanning the spool with your Android device. To take advantage of this feature, you first have to create your spool in the app. This is easy to do if you already use Printoid for OctoPrint – just choose a file in the file manager, then click the RollingUp icon to send its length and weight (in meters and grams) to the app, or directly input this information by clicking on the file name from the dashboard. Label the input and then open the ‘NFC Tags’ menu and click the ‘write’ button. Choose your spool, add your device to the tags, and voila! You can now stick the tags right on your spools. One swift click on the spool in your app’s dashboard lets you input consumption, while a longer click will pull up its consumption history. A cost manager feature also shows how much money you’ve spent on each print. In terms of crowdsource settings, Stephan explained to us that users will have the best settings for their own spools in the app, and will be able to contribute to the Filament.Directory database. “Actually, I hope that the user base will grow a lot. Then, with the new features, for example the integration of the data from Filament.Directory, I hope that we will be able to improve a lot the best parameters information found in this website. Also, since users can create new spools in RollingUp, it’s also a good way to be informed about new spools on the market, which are the best parameters, etc. and so, feed the Filament.Directory database. 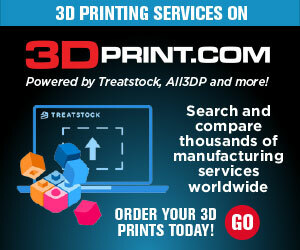 This database is amazing and deserve to grow quickly, with the help of every makers/printers! Will you try out the RollingUp app? Let us know! 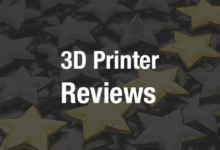 Discuss this and other 3D printing topics at 3DPrintBoard.com or share your thoughts in the comments below.